This installment of Think Beyond the Prophy features Alex Uruburo, BS. Alex is a dental assistant and has served in the U.S. Navy. 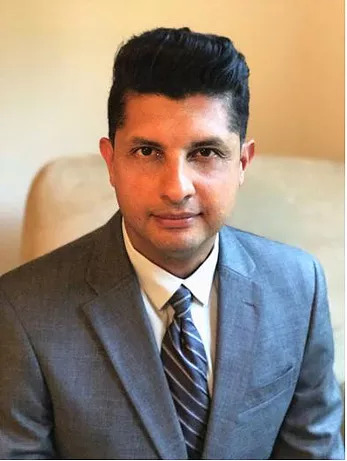 Since his time in the service, Alex has worked in a private dental practice in Washington, D.C, earned his degree in Business Administration, and is the Founder of Edalu Products LLC. 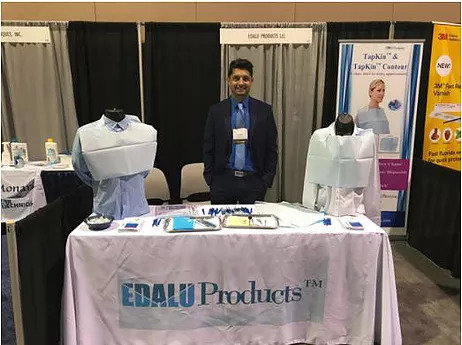 Coupled with his passion for innovation and his business savvy he created Edalu Products LLC. He has gained much value and excitement in manufacturing and distributing his own product. He hopes that dental professionals will make the Tapkin the standard of care in clinical practice. One of the biggest highlights of his career is the invention of the Tapkin®. 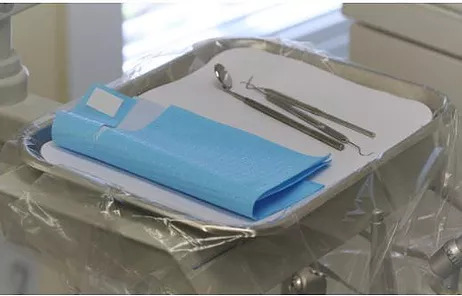 The Tapkin is a patented disposable dental bib design with a strap and adhesive tab. It eliminates the need for reusable chains or messy disposable holders and reduces cross contamination. How did Alex find the courage to explore this side of dentistry? How does he think beyond the prophy? What pearls can you gain so that you can take your career to the next level? Read on to be empower and inspired by his professional journey. Currently, I am preparing to launch our next product: TapKin Contour. It provides a contour neck area which allows for an ergonomic fit around patients’ necks. It will be available in mid July. It is a very exciting time! Why did you become a dental assistant? I was given the opportunity to be trained in the Navy as a dental assistant and the idea of working in the healthcare industry was appealing to me. I decided to join and it turned out it was something I was good at. When I first started college my major was art, so I enjoyed the artistry of dentistry, and it just happened that I also enjoyed being a health care provider. How have you kept your momentum to reach your goals? Keeping my momentum has been one of the toughest things I’ve had to do. For me it has been my ability to be resourceful. If one thing doesn't work I move on to the next; it is my personal state of being; to always be learning. I have also learned to be flexible about what life throws my way. I tried several paths in an effort to evolve in my career. I have gone from art to IT from Naturals Sciences to Business. But I believe that learning from all of these experiences have put me in a better position to be in an entrepreneurial path. And learning to be flexible and work with what I have has helped me keep my momentum going. Obviously, the support from family and friends is also very helpful. What mentoring moment help shape you to think beyond the prophy? I can say that for me it was not one specific moment, it has been several. Leaving the Navy and becoming a dental assistant in the “real” world, definitely changed how I saw dentistry. If I have to pick one moment I would say the dentists in my current practice have taught me that if I enjoy my job, and do it well, it will make my patients happy; if my patients are happy, my professional and personal productivity will grow. Because they encourage my creativity, it has allowed me to push myself beyond the prophy. 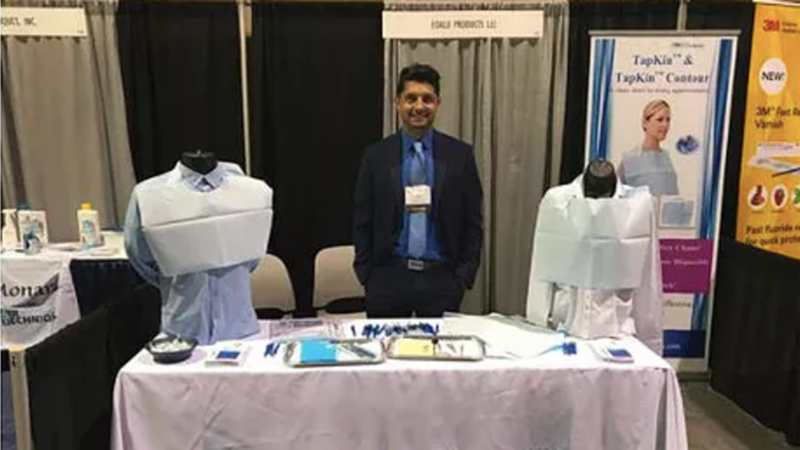 What tips do you have for other dental professionals who want to be entrepreneurs? - Be prepared to do the work; it is going to be a lot of work and in many occasions very hard. - Learn to be resourceful; you will need to figure out ways to do stuff you have never done before so you will need to be creative, think outside the box to make your goals happen. - Learn from all experiences; a lot of times some experiences may seem unrelated but learning how they relate to your goals can help you become successful. - Believe in yourself and your product or service. Stay positive. How do you maintain joy in your life? Staying connected to my family is very important. Taking care of my children and being there for them. I do not like missing time with them. To me all the hard work is rewarded when I get to be with my family. Exercise is also very important to me and I try to make time to workout as much as I can; it helps me stay focused. Stay connected to yourself; whatever you are thinking you want to do while in dentistry or beyond the prophy, it is important to know how you learn - everyone learns in a different way. So knowing what works for will help you grow in life. Don’t be afraid to try new things - you will be surprised to see how much you can learn from it. To hear more about Alex, click this LINK to listen to his interview on the MOMgienists Podcast.